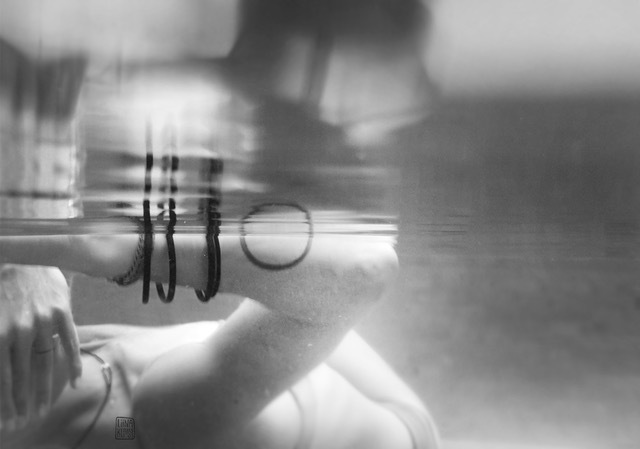 “Beyond Plastic” exhibition opening in Hong Kong end of March: Driven by concern and love for the ocean environmental artist Liina Klauss joins hands with Plastic-Free-Seas foundation and sponsor Breguet. “Beyond Plastic: Breguet, the Marine Explorer” will showcase an array of artworks with deep connection to marine. 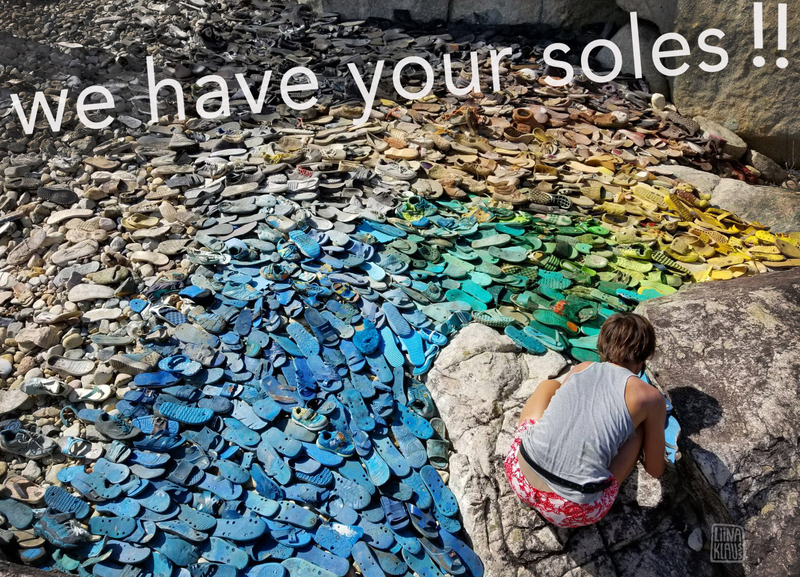 The spotlight falls on the large-scale installation created by German artist Liina Klauss consisting of well over 10.000 pieces of marine litter collected on Hong Kongs shores. The installation will be shown at the former Marine Police Headquaters at Heritage1881 and is open for public viewing on Saturday 30th and Sunday 31st of March. Plastic Free Sea’s mission is to provide education free of charge to students on plastic marine pollution, focusing on the causes, effects and solutions. They are a leader in marine-focused environmental education in Hong Kong, and to date, the charity has had a presence in more than 125 schools and has reached over 48,000 students and teachers with school talks, beach cleanups, the boat programme and youth conferences. They also liaise with industry and government on this global issue. The Race for Water Foundation is an organization dedicated to water preservation and the ocean in particular. This indispensable resource is under massive threat from plastic pollution and must be protected. The Foundation aims to identify, promote and implement solutions that will give end-of-life plastic a value and create new sources of income for the people most affected by pollution. Using this innovative approach inspired by the principles of a circular economy and social entrepreneurship, Race for Water Foundation seeks to prevent plastic litter from reaching waterways and leaking all the way down to the ocean. 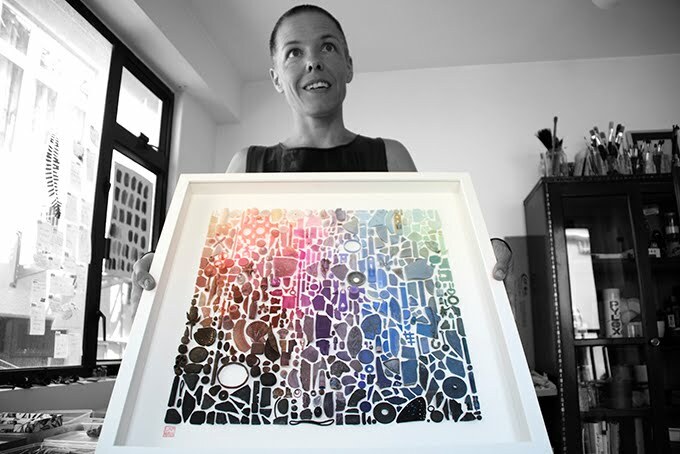 Liina Klauss is a German artist living in Hong Kong specialized in environmental art. Her installations and paintings are inspired by nature using man-made and natural waste as art material. 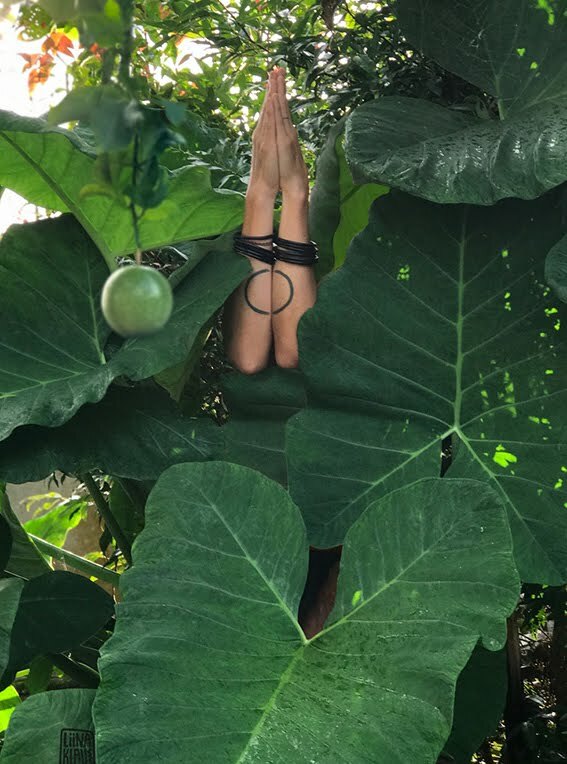 Through her works she hopes to raise awareness for the threatening impact we humans have on nature. Breguet, established since 1775, embodies watchmaking excellence and forms part of the European cultural heritage, brimming with history. From the start, Breguet has woven close ties with science and astronomy. Breguet takes pride in offering exceptional models, such as the Marine É quation Marchante 5887, a Grande Complication model that marks the start of a new era for the contemporary Marine collection. exactly 12 years ago we made the big brave move to asia. it was the year of the golden pig. we were gifted with luck and fortunes and friends and freedom. we had to face fears and break downs. we got up again and moved on. the circle closes. we are in the zodiac of the pig again. i am immeasurably grateful to have a family of adventurers, not afraid to fall and filled with wonder and curiosity for life. may this year of the pig bring peace and fortune for all. gung hei fa choi! happy new year! frohes neues! selamat tahun baru! This May, Potato Head will shed light on the ecological harm caused by the world’s most ubiquitous form of footwear: the flip-flop. 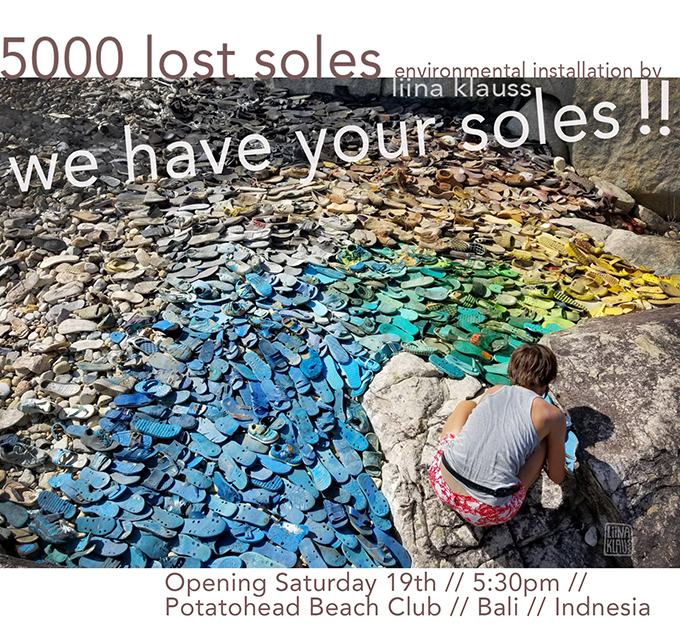 Millions of pairs of the synthetic shoe wash ashore around the globe each year, and as a brand surrounded by paradisal beaches, Potato Head is determined to draw attention to the serious issue of ocean plastics through a colourful installation of salvaged sandals. “I want to show people a different perspective on what we consider ‘rubbish,’” says Klauss. “Everything we throw away comes back to us (via the air we breathe, the water we drink, and the soil we grow crops and raise animals on). Flip-flops are just one example; there is potential within all these materials we waste and consider worthless." To realise this project—a rainbow-hued structure that takes the shape of an ocean wave—Klauss collaborated with two Ubud, Bali-based initiatives. Multi-disciplinary firm IBUKU designed and built the frame from sustainably harvested bamboo, while POTATO HEAD FAMILY Jl. Pantai Pererenan No.149 Pererenan, Bali +62 361 907 8108 the Innovation Lab at Green School supplied a ‘thread’ made entirely from melted- down plastic bottle caps for which to attach the sandals. The work is installed at the entrance to Potato Head Beach Club from 19 May and on view throughout the 2019 summer season. The Universal Sea: Pure or Plastic?! The Universal Sea – Pure or Plastic?! 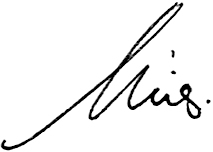 is a collaboration model between art, science, technology and business. Together with the public The Universal Sea aims to build a strong network of innovators and change-makers getting as many as 1 million people involved finding creative solutions that fight the plastic epidemic. The Universal Sea is EU co-funded and links scientific findings with artistic creations offering a new perspective on the pressing issue of marine pollution. 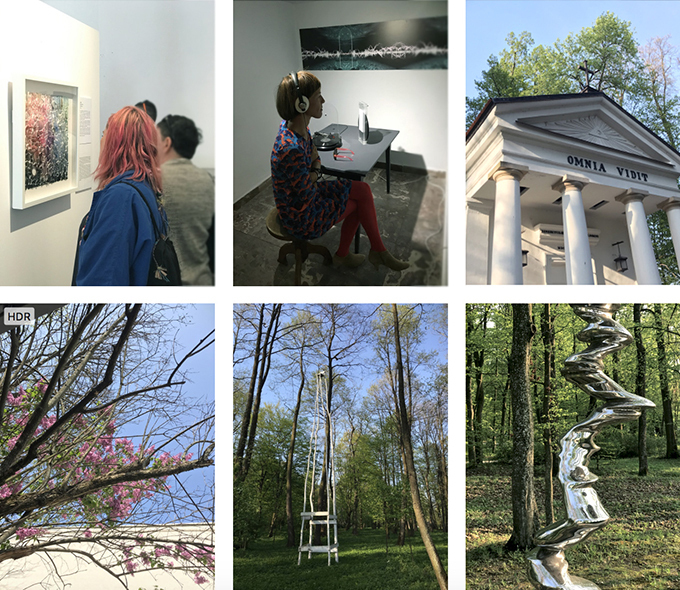 The exhibition includes the artworks of the Top 5 finalists of the worldwide open-call as well as the Top 100 artistic proposals. Moreover there will be co-creation workshops, talks, panel discussions and hands-on workshops with the artists. I will be present at Barcelona, Venice, Berlin and Budapest as a speaker and workshop facilitator. It would be amazing to see you in one of these cities! it all comes back to soil. to darkness. you will forever hold me. without words. without wanting. without return. your truth is so much bigger than all our concepts. may we become empty to see your eternal circles. wishing you a abundant new year! gung hei fat shoi! selamat tahun baru! gesundes neues! When we put on shoes we put a sole between our feet and the soil we walk on. When we put on shoes we put a layer of cushioned culture between us and nature. When is the last time you walked barefoot? All the 2020 shoes you see here were abandoned in Jakarta last month. Yearly an estimated 16 million flip-slops are thrown away, abandoned or lost in Jakarta alone. Over 8 billion flip-flops (we're only talking flip-flops!) are manufactured worldwide each year. This trash-land-art installation called '2020 lost soles' and is but the tiniest mirror of our throw-away society. 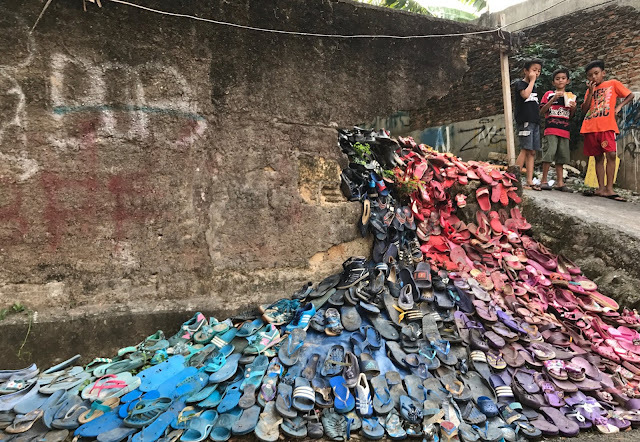 A huge THANK YOU goes to Greeneration Indonesia and to waste4change and to EcoBali Recycling for helping to collect the 2020 shoes from the streets and from private households in Jakarta! 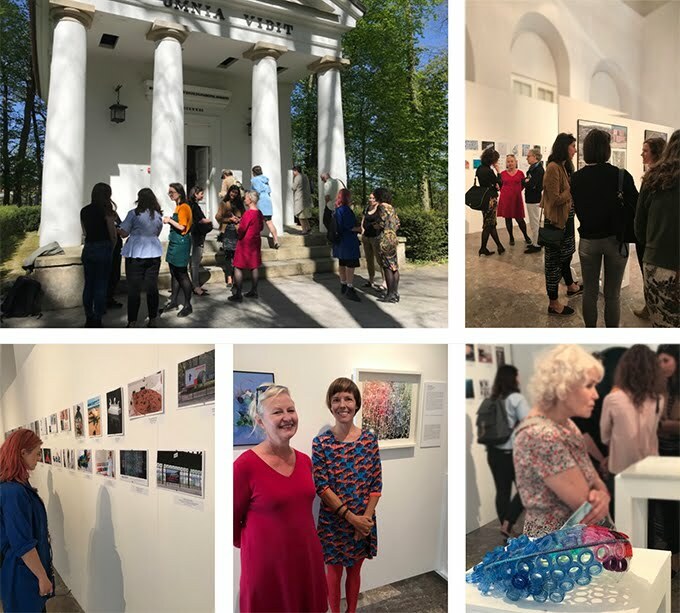 microgalleries reclaims disused and forgotten spaces and reactivates them as tiny galleries that are free and accessible to the local community. Bringing together international and local artists, it features work that challenges ingrained ideas, blurs the line between street art and fine art, and aims to help change the way we see the world, our environment and our community – even for a micro moment. more pics on instagram !